2017 is not just another year, it’s the year of Hearing Loss Prevention. Hearing loss prevention is an action where you take special precautions to ensure your hearing is not being negatively affected. Sometimes the loss itself can be difficult to identify, which is why it’s so important to be on top of changes that may occur to your hearing. Your hearing health has a direct effect on your overall health. Hearing loss has been linked to numerous medical issues, including viruses, bacteria, heart conditions or strokes, head injuries, tumors and certain medicines. 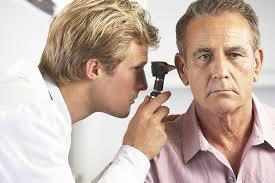 Make sure you are making an annual hearing test part of your hearing health routine. Many hearing clinics provide free testing. If you haven’t already, schedule your next evaluation for the new year today. Noise-induced hearing loss (NIHL) is increasingly becoming a problem, especially for people aged 12 to 35. With the growing popularity of personal listening devices, taking steps to protect your hearing has never been more important. Take steps to ensure that you are listening at an appropriate volume, and use earplugs in heavily noise-polluted environments such as sports venues, hunting, shooting, concerts, or other events and activities that are loud. As little as 10 seconds at a loud stadium or concert can cause permanent hearing damage. Learn More about Hearing Protection. 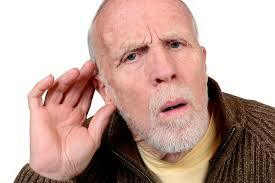 A shockingly large number of people that could benefit from using hearing device don’t use one. Hearing aid technology has improved significantly in recent years, and it’s worth exploring what kind of solutions there are that could make your life easier. You might be surprised by what a hearing aid device can do to improve your quality of life. 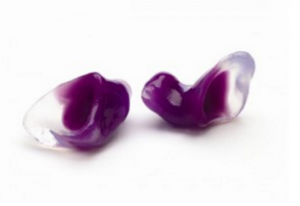 If you’re suffering from hearing loss and haven’t considered treating it, now is the time! Every person’s hearing is unique, almost like a fingerprint. When it comes to issues like hearing loss, tinnitus, hearing technology etc. don’t be afraid to ask a professional for advice. Your audiologist can help you make informed decisions about your hearing health and start on a path toward better living. With the New Year here and moving with a vengeance, it is important to be proactive especially where your health is concerned. Whether it is your hearing, or a colleagues hearing, please educate and pass this message on. Let’s prevent Hearing Loss, one ear at a time.